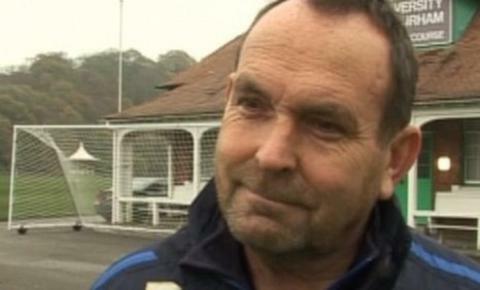 Hartlepool United have sacked head coach Mick Wadsworth after 16 months in charge at Victoria Park. Despite winning five of nine away fixtures this season, Pools have lost their last six home matches to leave the club 13th in League One. Wadsworth, who was made permanent head coach in the summer, took on a caretaker role following the departure of Chris Turner in August 2010. Coach Micky Barron will take temporary charge of first-team affairs. The well-travelled 51-year-old arrived at Hartlepool as assistant to Turner in July 2010, having ended a spell as manager at Chester City in October 2009. Turner's subsequent departure saw Wadsworth installed on an interim basis, and he lead the club to the FA Cup third round and a 16th place position in League One in 2011-12. That performance was enough to persuade Pools to hand Wadsworth a permanent position, and his influence was key in persuading former Newcastle and Aston Villa winger Nolberto Solano to sign in July. A season-ticket offer saw almost 6,000 seats at Victoria Park sold, although ironically the larger crowds have coincided with the club's miserable home form - two wins in 10 games so far this term. Inconsistency has also been a factor throughout. Last season Pools went on a string of impressive runs, losing just once in eight games and recording wins against Champions elect Brighton and play-off finalists Huddersfield, but followed that with a seven-game run without a victory that saw the club slide out of the play-off places. During this current campaign Pools have been unable to match impressive away form on home turf, and were eliminated in the FA Cup by fellow League One side Stevenage. Having spent much of his playing career in the non-league ranks, it has been as a coach and manager that Wadsworth has made his name in football. Following a stint with the Football Association, he worked for Newcastle United under Sir Bobby Robson, managed the DR Congo national team and took Carlisle United to promotion and a Wembley final among his roles.